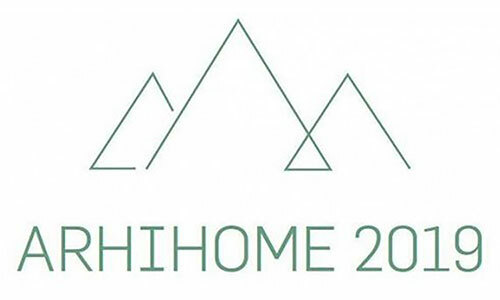 Tomaž Krištof participated as one of the speakers at the Arhihome 2019 conference. 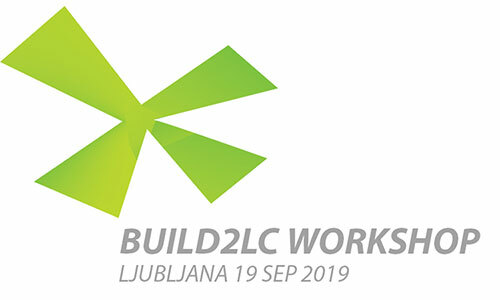 Tomaž Krištof was a chairman of the Share Ljubljana 2019 conference. 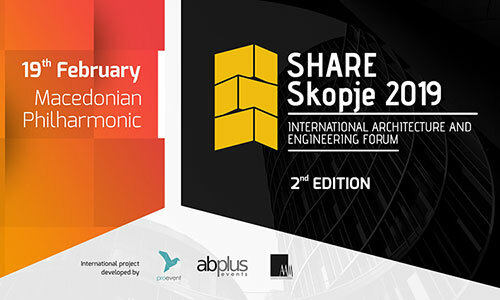 Tomaž Krištof participated at the Share Skopje 2019 conference. 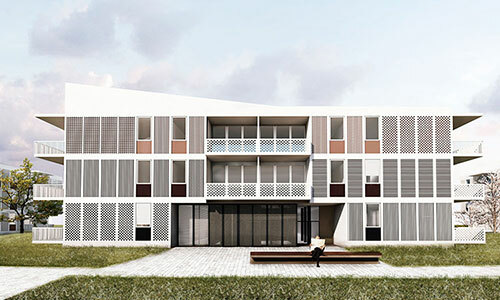 Our entry won the first prize at the competition for housing "Novo Pobrežje" in Maribor. 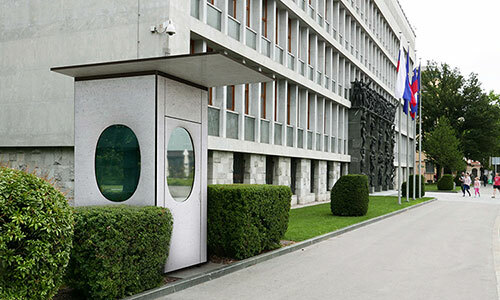 Our design proposal of new guard houses was approved by the investor and received all necessary approvals. 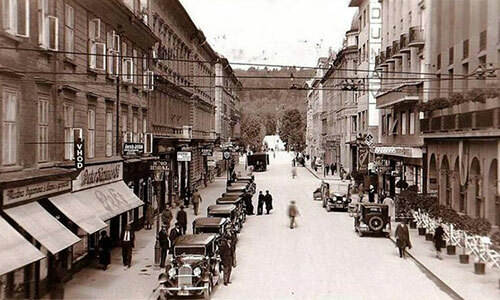 We created a proposal for the reconstruction of Gregorčičeva Street in Ljubljana (self-initiative project). 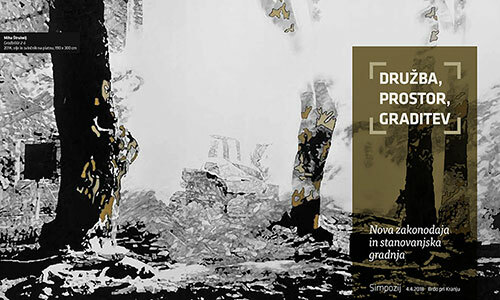 At the Open house Slovenia 2019 festival Tomaž Krištof will contribute as a member of the jury. 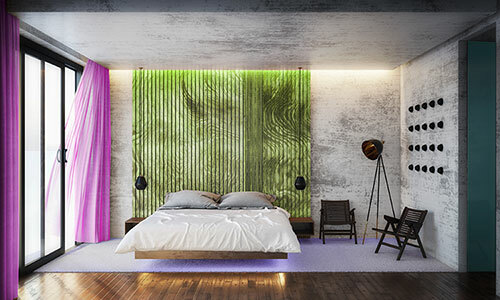 We prepared a proposal for renovation of the San Simon hotel in Izola with the Reichenberg architects from Maribor. 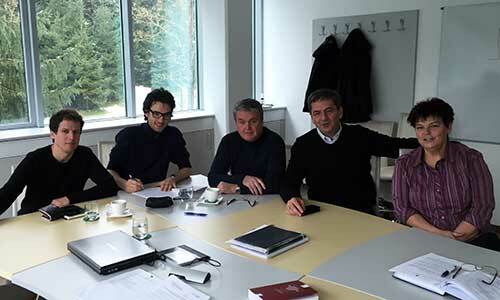 An assembly of the Chamber of Architecture and Spatial Planning of Slovenia (ZAPS), appointed Tomaž Krištof as acting President of ZAPS. 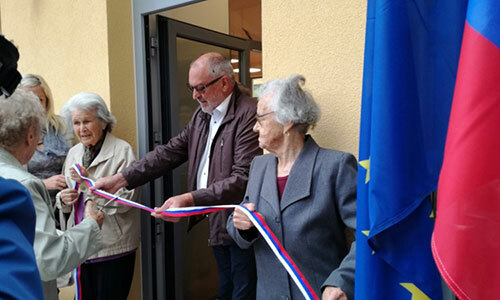 “Hiša dobre volje” (House of Good Will), the daily and intergenerational Center in Deskle, designed in cooperation with architect Kosta Jurkas has opened its doors! 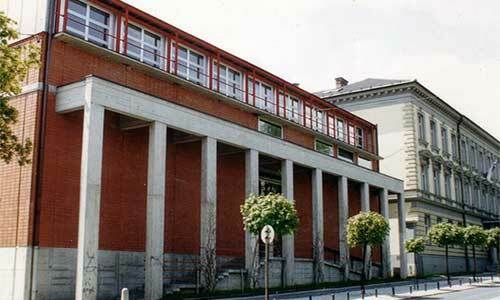 The Spanish Economic Delegation arrived for a two-day visit to Ljubljana. 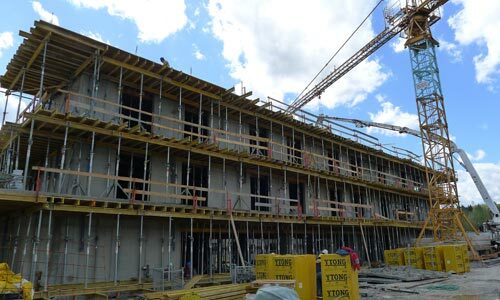 One of the main purposes of the visit was a tour of the Dominum projects designed by our office. 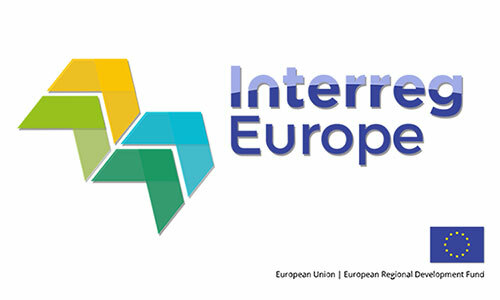 In addition, a small workshop with four lectures and a meeting at Ljubljana City Hall of were also organised. 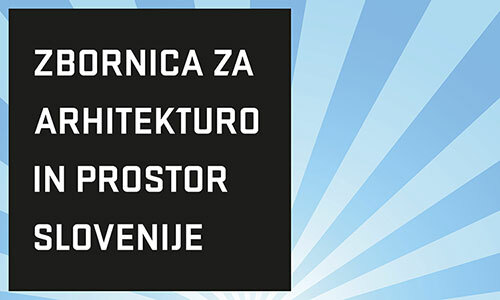 Tomaž Krištof participated as a member of the panel of judges for the award “Interior of the year” as part of the event “Mesec oblikovanja 2018” (Design Month 2018). Sincere congratulations to the finalists and award winners! 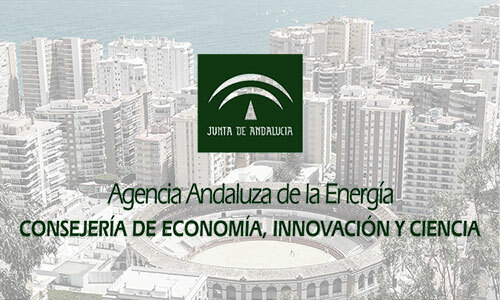 The comprehensive renovations of the Dominum multi-apartment residental buildings were presented at a new conference in Málaga, Spain. 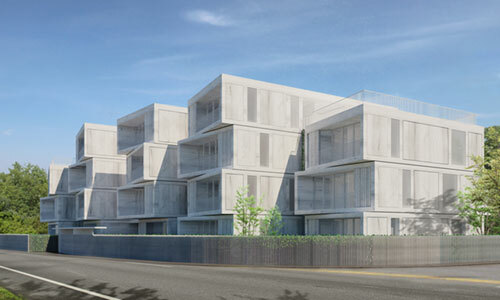 3rd prize for the Dominum projects in Florence! 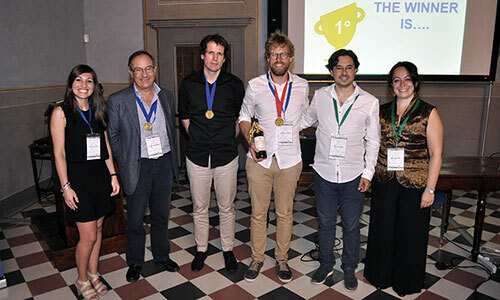 The comprehensive renovation project of the Dominum apartment buildings was awarded third place among the presented sustainable orientated EU projects, at the “Interregional Cooperation for Energy Transition” conference in Florence, Italy. 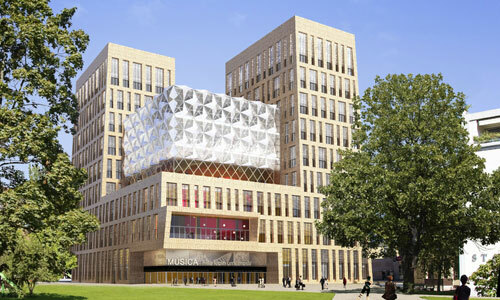 The project was the highest placed architectural submission. 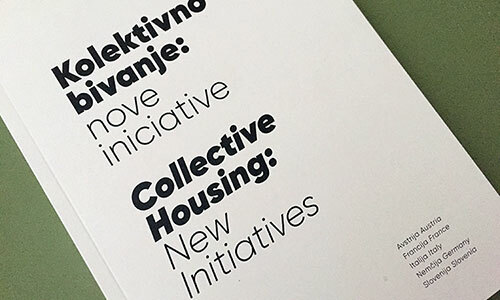 We participated at the conference "Collective Housing : New Initiatives" in Ljubljana, Slovenia. Dominum has a new webpage! 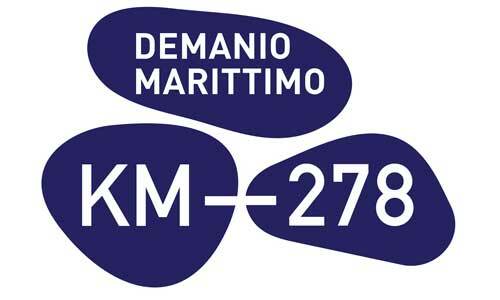 Our subsidiary company Dominum d.o.o. 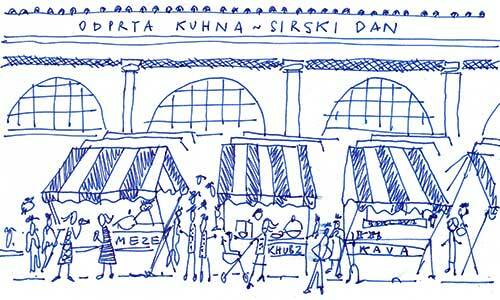 has a new webpage. 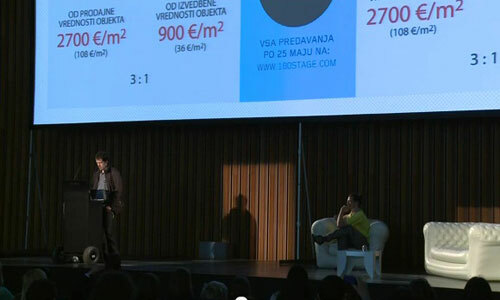 At the festival BIG architecture 2018 our architects Špela Zore and Alja Mišigoj held a lecture on the topic New world (stage 180). 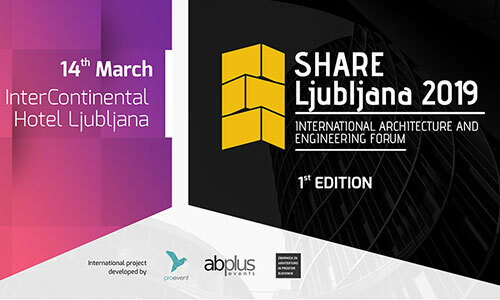 In the congress center Brdo pri Kranju, Tomaž Krištof participated as a lecturer for the symposium named Society, Space, Construction 2018. We have finished technical due diligence of a pictoresque turist resort San Simon in Izola..
Tomaž Krištof participated as a lecturer at a conference organized by LEAG. 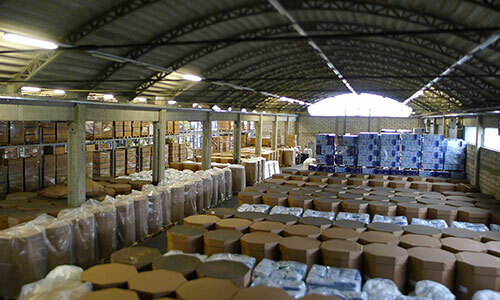 We have finished technical due diligence of an office-warehouse building Gaber. 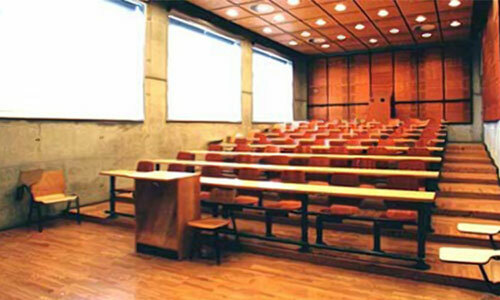 Tomaž Krištof participated as a lecturer at a symposium on reconstructions. 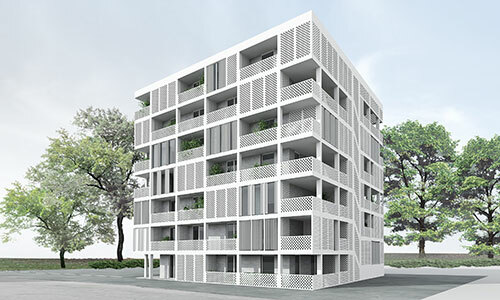 We participated an invited competition for apartment building in Rožna dolina in Ljubljana. 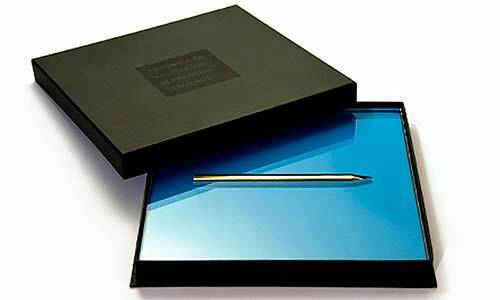 Our project received a 2nd prize. 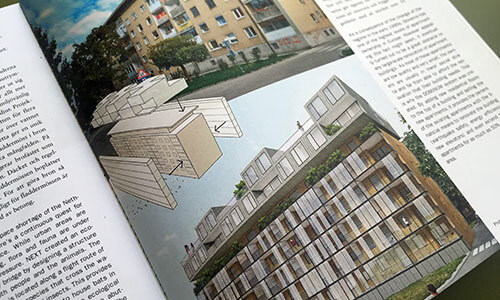 Apartments for whistleblowers on top of the roofs of Slovenian embassies, workshop projects designed by students lead by Tomaž Krištof in Nov 2016, were published in Slovene architectural magazine AB: Architecture Builds the State. 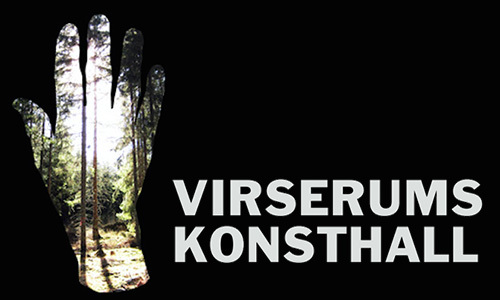 We participated at a competition for trekking cabins along Amber road in Latvia, in cooperation with Kombinat arhitekti. 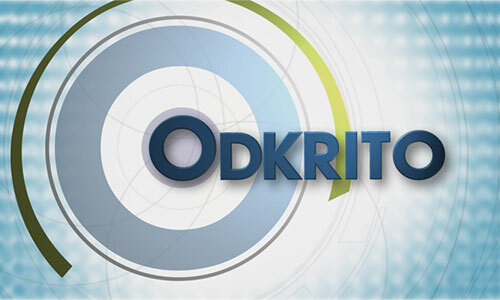 An interview with Tomaž Krištof for for show Odkrito on Slovene's national TV (channel 3). 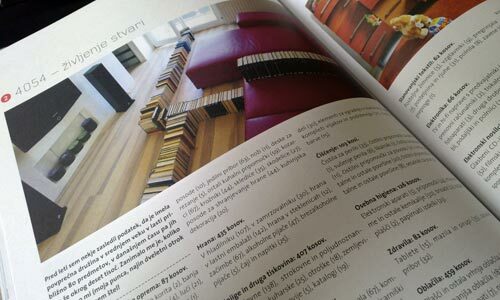 A new article for Slovenian weekly magazine Mladina. 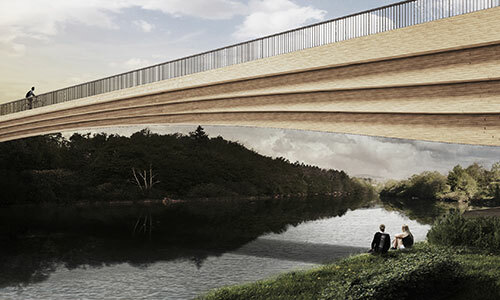 We have lost another competition, for a footbridge over Krka river. 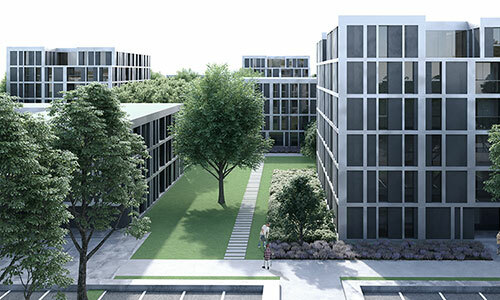 We have received the third prize on a competition for residential area Rakova Jelša in Ljubljana. 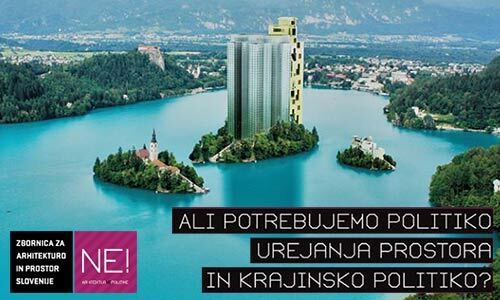 Our team has won the elections for a president of Chamber of Architecture and Spatial Planning of Slovenia (ZAPS). 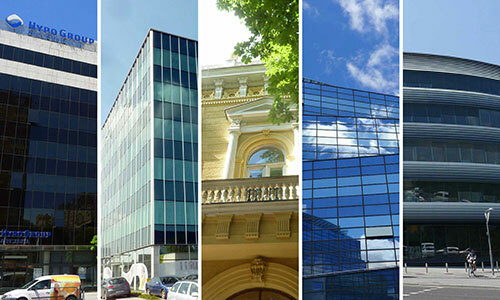 We have just finished technical due diligence of Kompas MTS facility in Ljubljana. 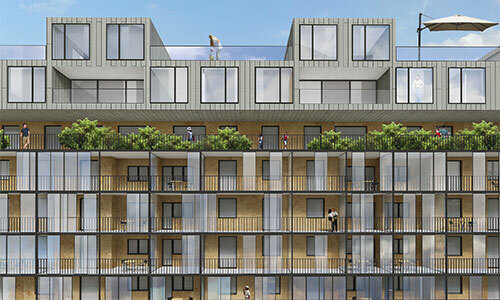 The competition project for social housing Brdo 2 that we did in cooperation with Kombinat arhitekti is now published on our web site. 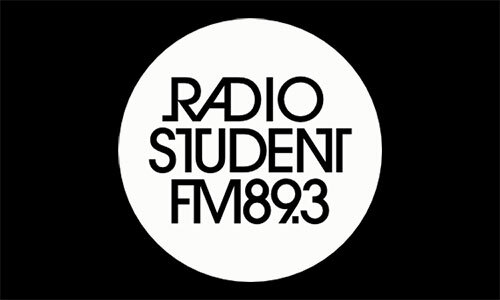 Tomaž Krištof participated in a radio show "Thick skin of buildings", a part of "Eko vest" (Eco conscience) series of Radio Študent. The Dominum projects (Pr5 and Ts2 renovations) were published in a magazine LC Tim in two articles under a section "Step forward". 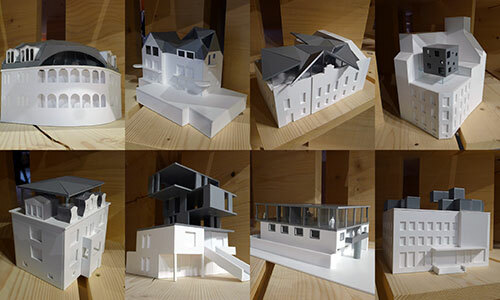 Tomaž Krištof presented the progression of the Dominum projects at the lecture at Faculty of Architecture in Ljubljana, Slovenia. 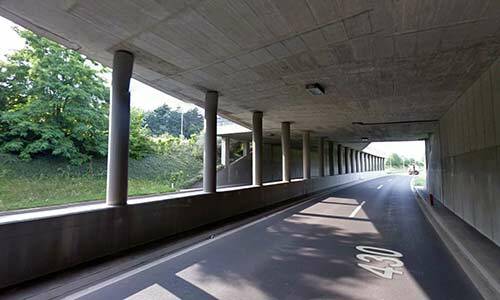 Slovenska street renovation was nominated for the 2017 European Union Prize for Contemporary Architecture – Mies van der Rohe Award. 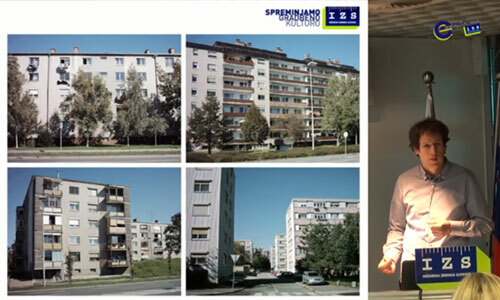 Tomaž Krištof gave lecture at the ZBS (Slovene Association for Concrete) conference. 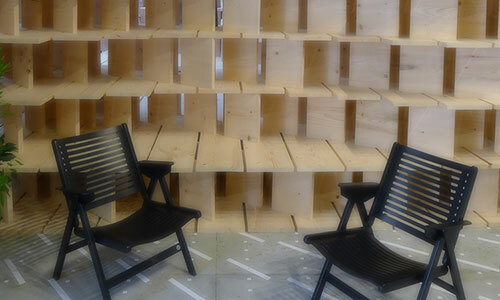 Workshop New on top of the old, lead by Tomaž Krištof, was finished with a presentation at the Slovenian Pavilion [Home at Arsenale] at the Biennial of Architecture in Venice. 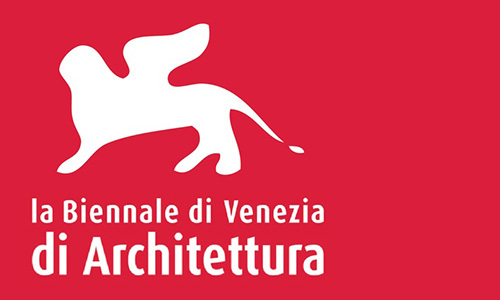 A lecture and an interview in Venice, on dwelling and political aspects of dwelling and architecture. 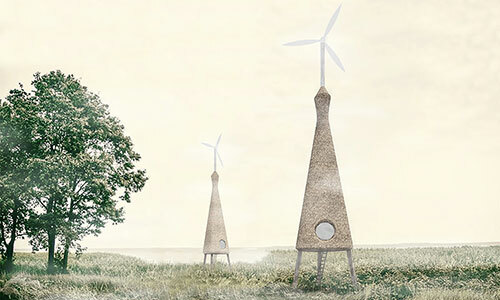 Tomaž Krištof will lead student's workshop NEW ON TOP OF THE OLD. 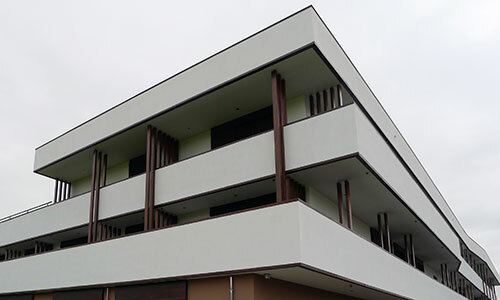 The students will have to design apartments for whistleblowers on top of the roofs of Slovenian embassies around the world. 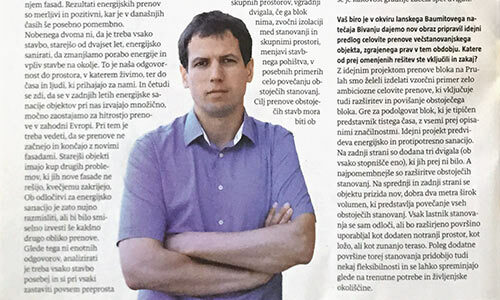 An interview with Tomaž Krištof for Slovene weekly newspaper Kvadrati. On bedrooms, our last fortresses of intimacy against the outer world. 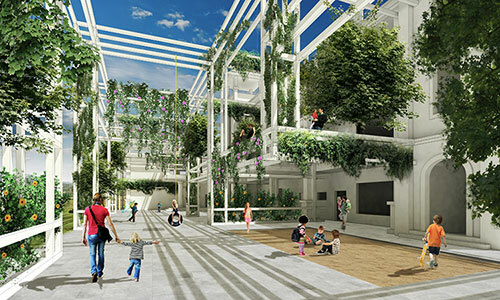 We submitted our first project for Chinese developer Elab: a renovation of a kindergarten and a clubhouse in a residential area in Xiamen, abandoned already during the construction phase. 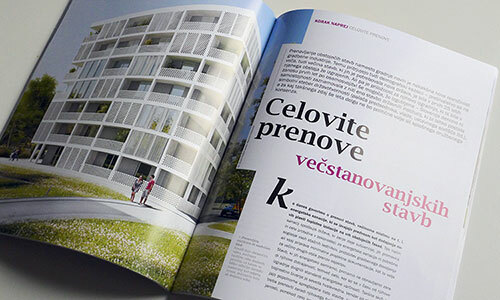 An article for AB-architect's bulletin, Slovenian architectural magazine. 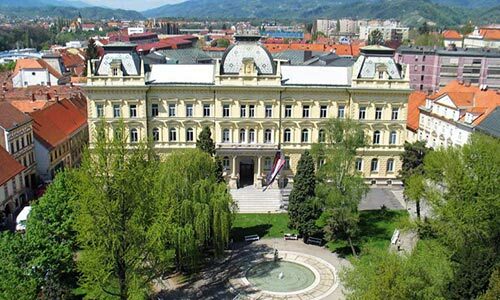 On infrastructural and parking facilities of the city of Maribor. 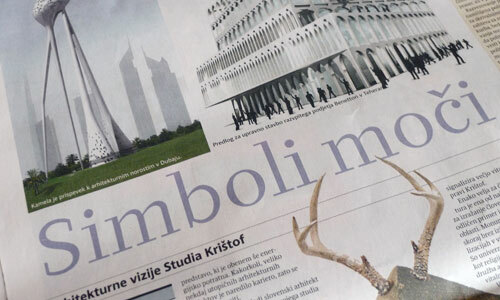 An interview with Tomaž Krištof for Slovene weekly newspaper Nedelo. Tomaž Krištof gave a lecture at the International Development of Human settlements Forum, organized as a part of Beijing Desing Week 2016. 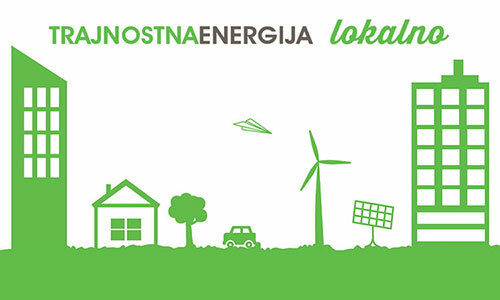 Tomaž Krištof participated as a speaker at the conference "Sustainable energy locally". 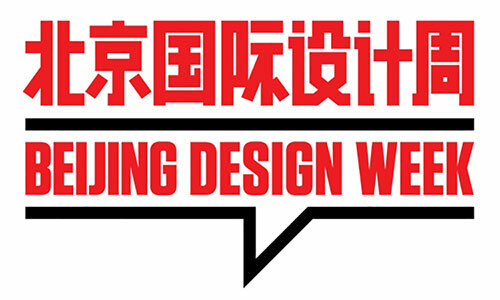 Studio Krištof was invited to participate at this year's Beijing Design Week! 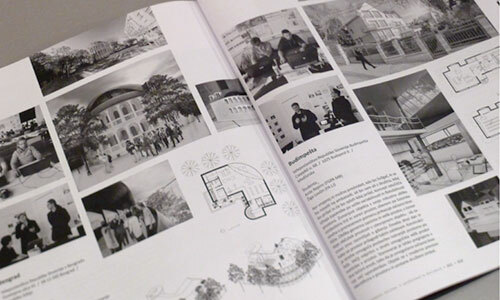 Our project Ts2-renovation was published in a book Välkommen till Framtiden, a catalogue of Architecture of Necessity exhibition in Småland, Sweeden. 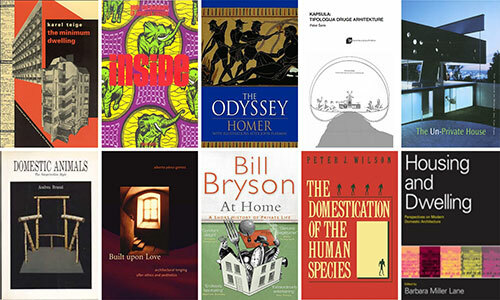 A list of books on dweling selected by all ehibitors at this year's slovenian pavilion at bienale in Venice is now available on pavilion's homepage. 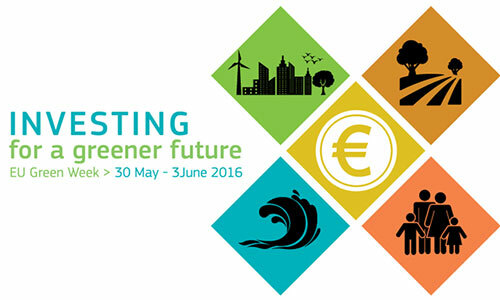 Tomaž Krištof participated as a speaker at the conference on sustainable building renovations. 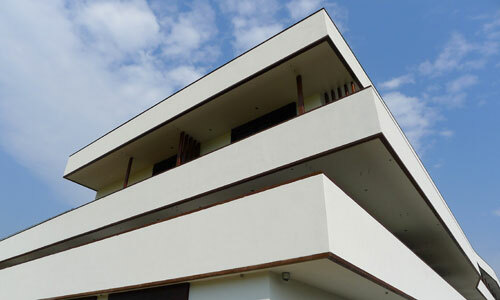 An opening of Slovenian pavilion curated by Dekleva Gregorič architects at this year’s International Architecture Exhibition – La Biennale di Venezia. 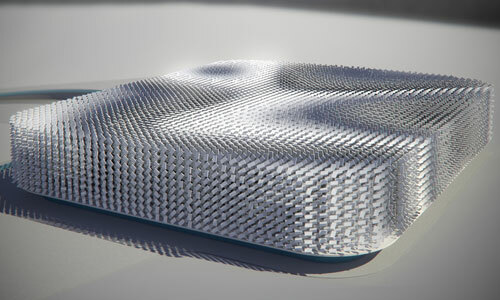 One of the invited participants is also Studio Krištof. 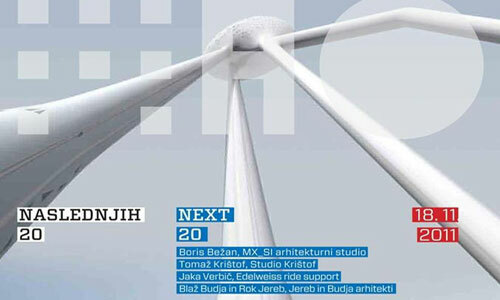 An interview with Tomaž Krištof about position of architects in Slovenia after 2008 for Slovenian architectural magazine Hiše. 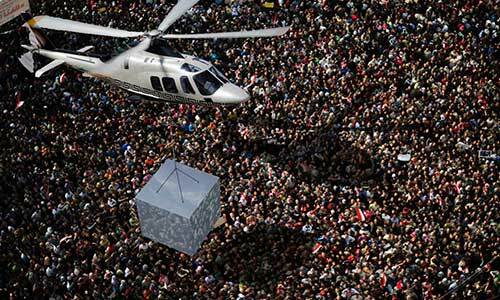 We added new images to our old project, Riot-Isolation-Cube. 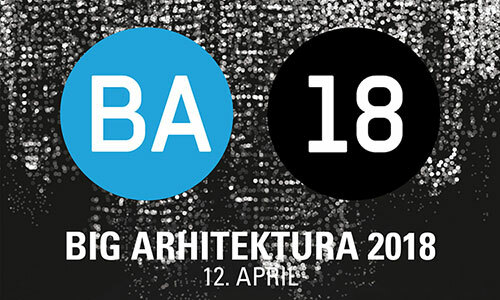 We have been invited by international jury to participate at this year's Architectural trienalle Architecture of Necessity in Virserums Konsthall in Småland, Sweeden. 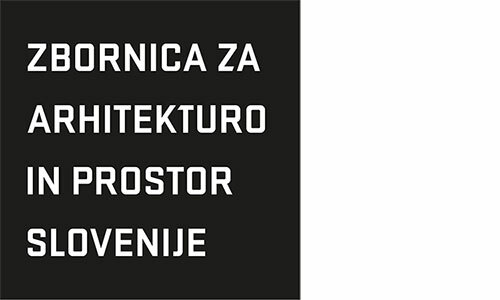 We have been invited to participate at this year's Slovenian Pavilion at the Venice Architectural Bienalle (curators of Slovenian Pavilion: Dekleva Gregorič arhitekti). 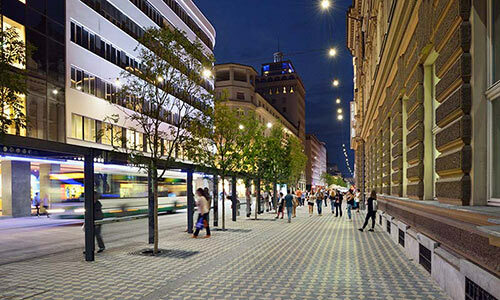 Works on Cankarjeva street renovation in Ljubljana are mainly finished. 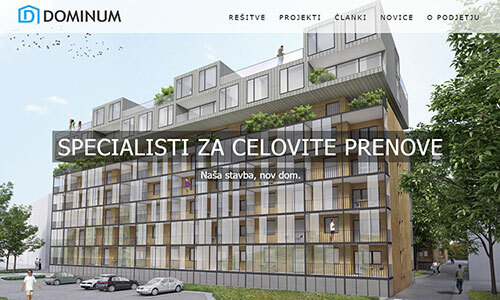 We established a new company with our partners (Kostak, Delta-union, BM Inženiring), DOMINUM d.o.o.. Dominum is going to offer housing renovations, based on our two projects, Ts2 and Pr5. 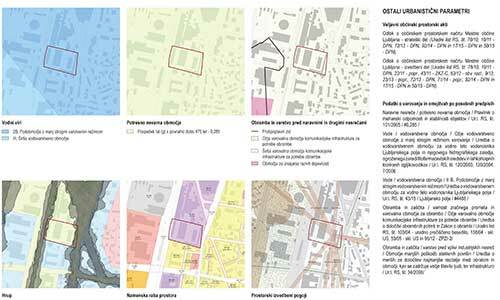 We submitted an urban study of three plots for our client, Ministry of internal affairs of Slovenia. 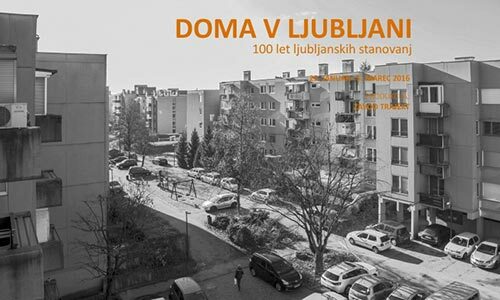 Tomaž Krištof participated as one of the speakers at a round-table debate "Residential Neighbourhoods" (FA LJ). 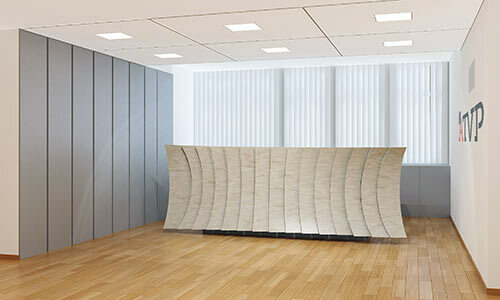 Studio Krištof finished a small scale project for an entrance lobby of Securities Market Agency of Slovenia. 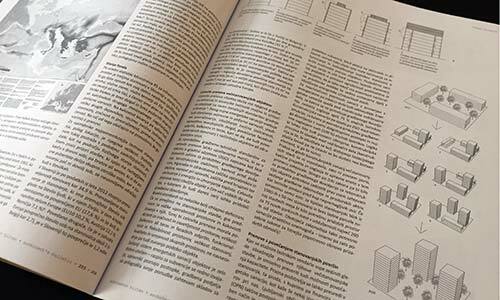 A new article by Tomaž Krištof on possibilities of housing blocks' renovations in AB Architect's Bulletin. 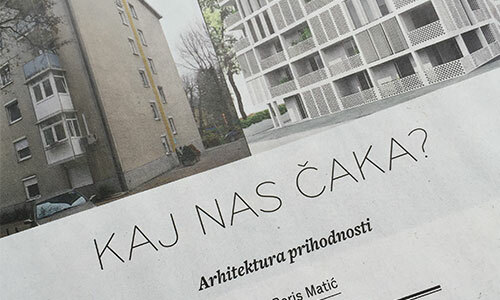 Studio Krištof​ was part of the design team that renovated the main boullevard of Ljubljana, the capital city of Slovenia (with Dekleva Gregorič arhitekti, Katušić Kocbek arhitekti, Sadar+Vuga and Scapelab). 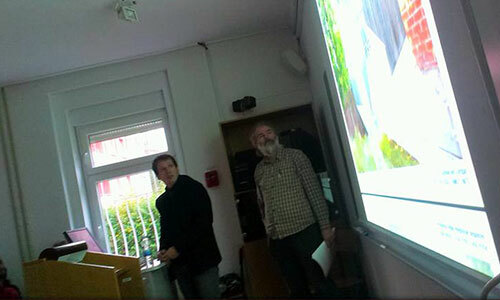 Tomaž Krištof started working as a guest lecturer and critic on a faculty for architecture (FGPA) in Maribor. 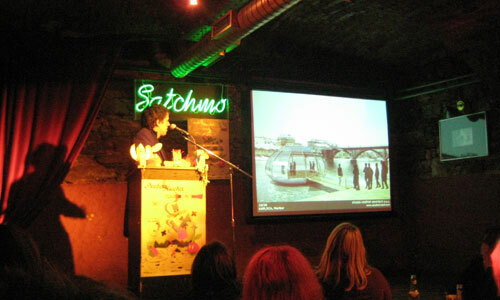 Tomaž Krištof gave a lecture on spatial/urban aspects of migrations and refugee integration. 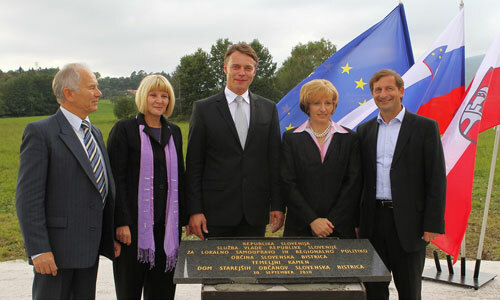 With Rajko Muršič and Janja Brodar. 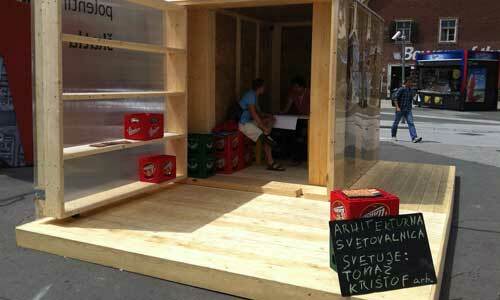 We participated a competition for refugee housing in Slovenia, organized by Outsider magazine. 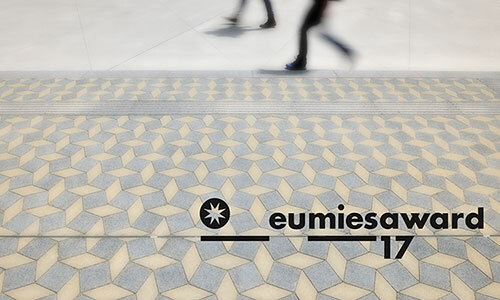 Our project was selected as one of five finalists. 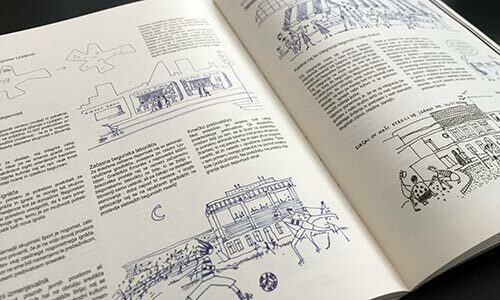 Co-authors: dr. Rajko Muršič and Janja Brodar (illustrations). 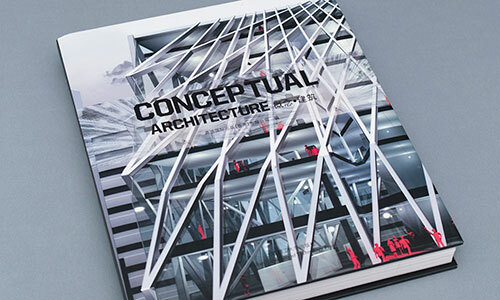 One of our oldest projects (The White Peacock) on the cover of a book 'Conceptional Architecture' which includes architects such as MVRDV, BIG, Ofis, 3LHD, etc. 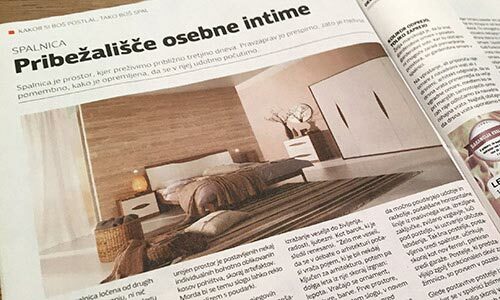 An article about the renovations in Slovenia in weekly newspaper Mladina. 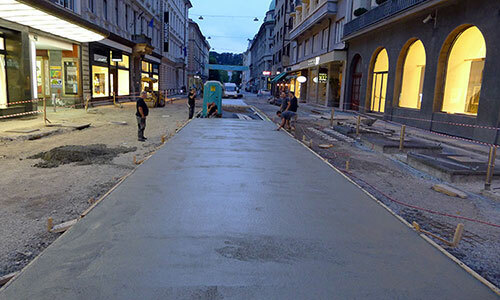 Concrete works have started on first part of the renovation of Cankarjeva street in Ljubljana, between Slovenska and Beethovnova street. 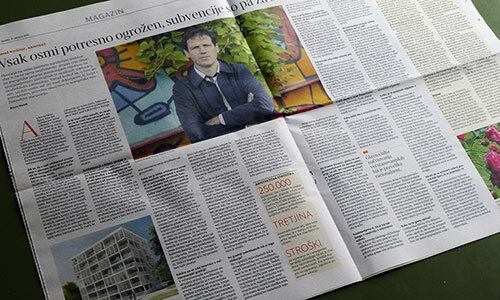 An interview about renovations of apartment buildings in Slovenia. 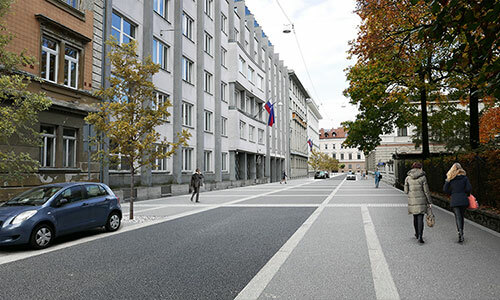 After finishing a project for Slovenska street renovation in Ljubljana, we started working on a project for a renovation of another street in Ljubljana with the same team. 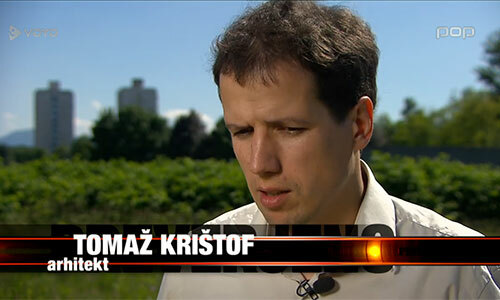 An interview about architectural competitions in Slovenia for Slovene national TV (RTV SLO). 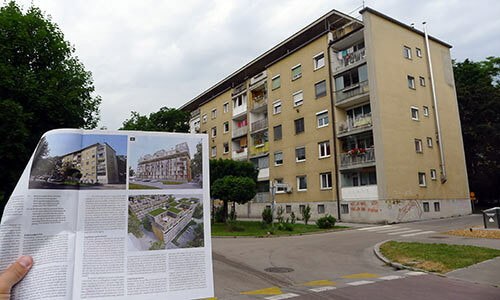 We did another project for housing block renovation: Ts2 in Ljubljana. 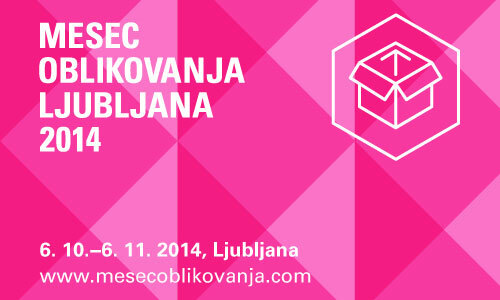 Studio Krištof participates with two projects at this year's Month of Design in Ljubljana: Muses and Ts2. 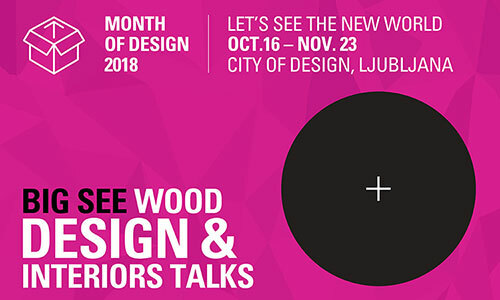 Tomaž Krištof participated as a jury member at the 'South-East Europe Interiors' exhibition and awards a part of Month of Design in Ljubljana. 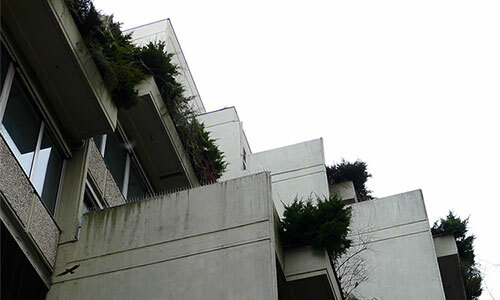 Tomaž Krištof started working as a technical assistant in Jure Sadar's studio at Faculty of architecture in Ljubljana. 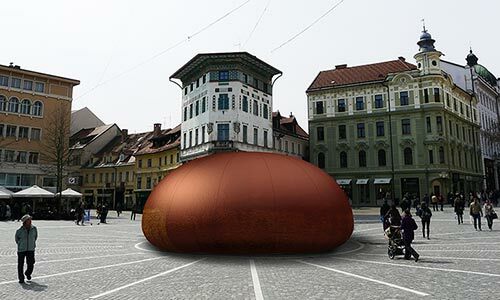 Studio Krištof teamed-up with Slovene artist Damjana Stopar Štrovs to create a pavillion as a part of 'Muze' / 'The Muses' project at Month of design in Ljubljana. 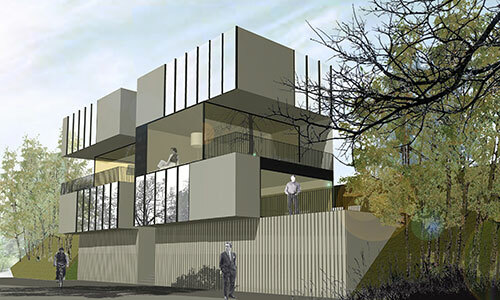 A new project for a twin villa above city park in Maribor, Slovenia. The building is now officially open. First 60 residents (of 124) already moved in. 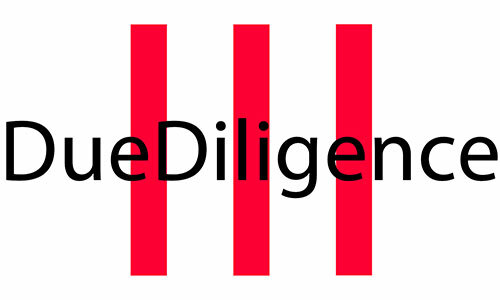 DueDiligence, our trademark for property inspections, got a new webpage! 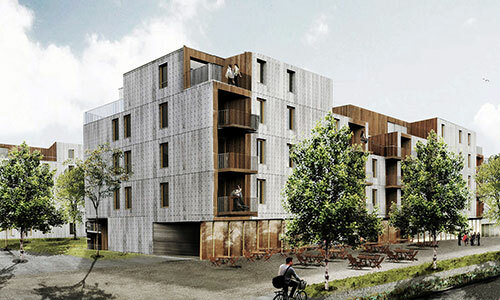 Housing block renovation with profit! 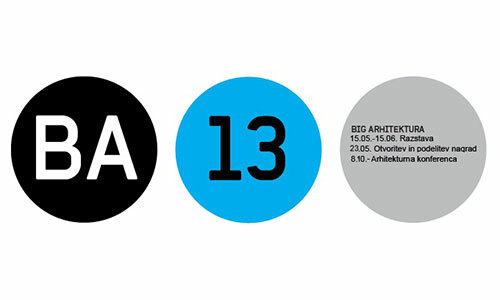 Tomaž Krištof will give a lecture on 'BIG arhitektura' conference in Ljubljana. 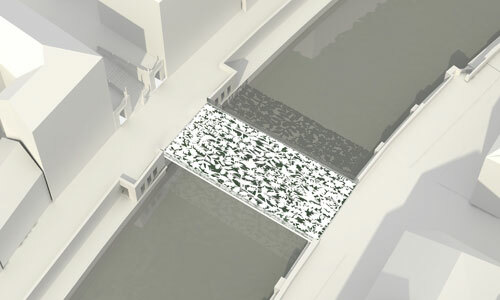 A suggestion to city of Ljubljana to build a sunken stage in the center of the city's main square. 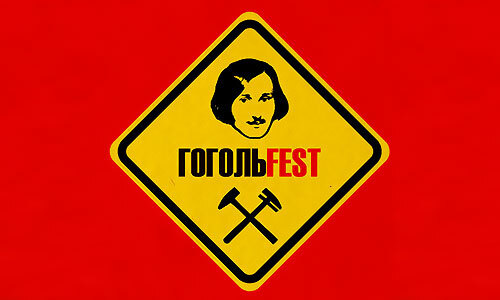 Our work will be presented on Gogol Fest in Kiev, Ukraine, by Rok Jereb as part of his lecture 'Sublime Fun (Private Joy in Being an Architect)'. 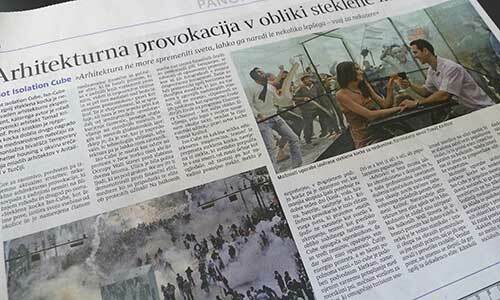 Riot Isolation Cube has just been published in Slovene main daily (political) newspaper Delo. 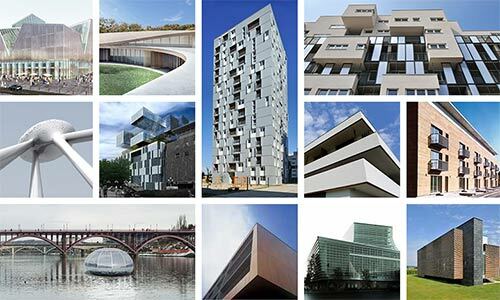 We established a joint venture with Reichenberg Arhitektura. 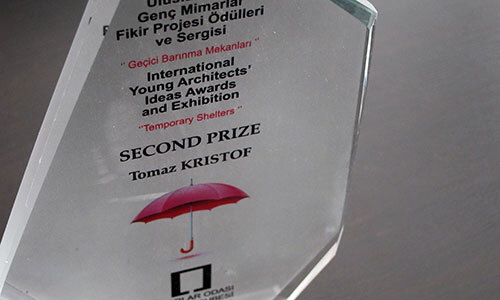 Iso-Cube got second prize at the international competition for Temporary Shelters in Turkey. 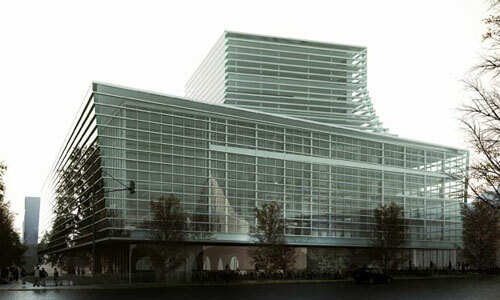 On the 8th of May the new Air Traffic Control Center was opened. Mission accomplished. 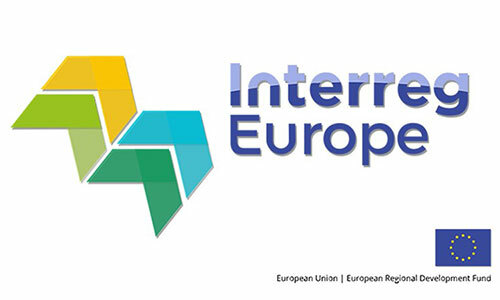 Iso-Cube has been selected as one of top ten projects at the international competition for Temporary Shelters in Turkey. 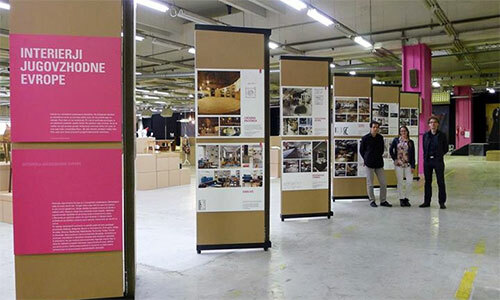 The final event with projects presentations and a final jury decision is going to take place at the end of May at 8th International Young Architects' Meeting in Antalya. We participated + lost another competition. You have a great opportunity to like us! 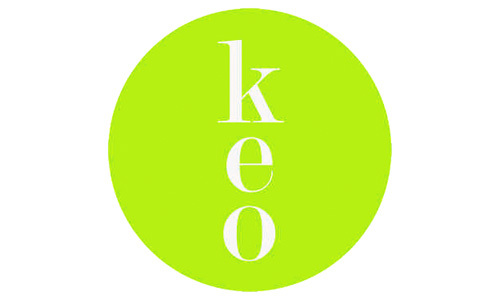 Studio Krištof has been presented as one of the offices participating in a new type of cultural economy (office/people/project sharing) on Slovene national TV. 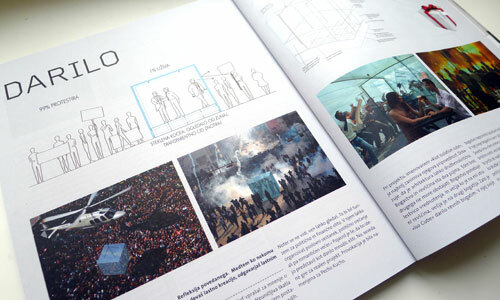 Our latest project, Riot Isolation Cube, has just been published in Slovene architectural magazine Hiše. 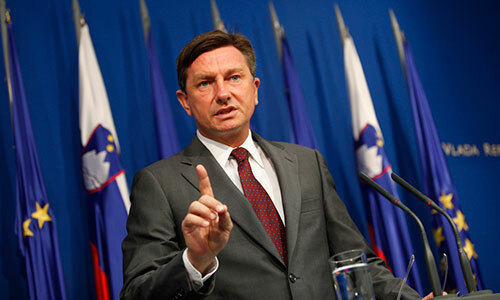 Our ex-employee Borut Pahor has just been elected for a president of Republic of Slovenia! 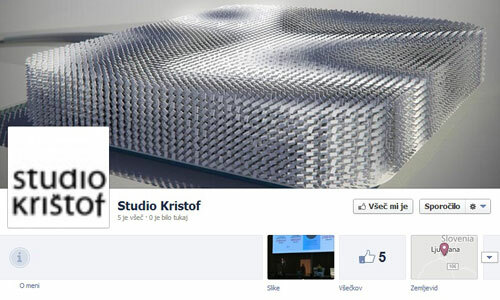 Those who are also interested in voluntary working for Studio Krištof, please send us an email to office@studiokristof.com. There is a great future ahead of you! 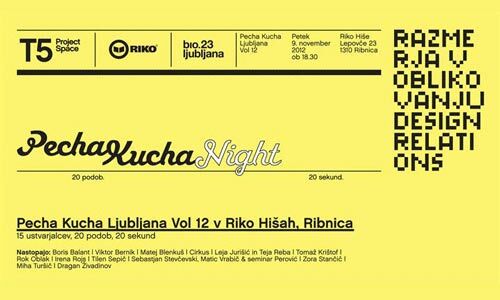 Lecture at "Pecha kucha Ribnica"
Studio Krištof is now a part of KEO group! As a part of his campaign for presidential elections, Slovene former prime minister (and also former president of Slovene parliament, former social-democratic party leader, and former member of European parliament) Borut Pahor worked in our office for one day. 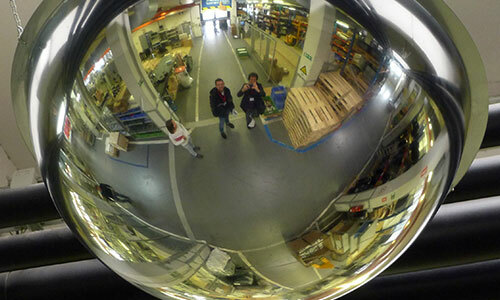 First technical inspection of the building. 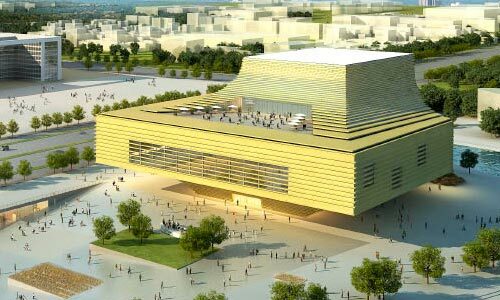 About the same time we did a NUK2 competition in Ljubljana, JDS architects participated an invited competition for Xiasha cultural complex in China. By coincidence we both did almost the same project! 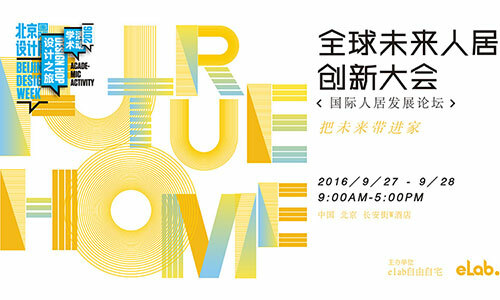 An overnight 6pm - 6am architectural event with lectures, exhibition, DJ's and movies. 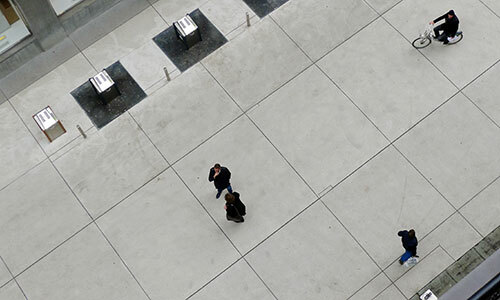 As a part of European Capital of Culture, we gave a free architectural councelling at the main square in Maribor. The construction site is almost finished. One more month to go! 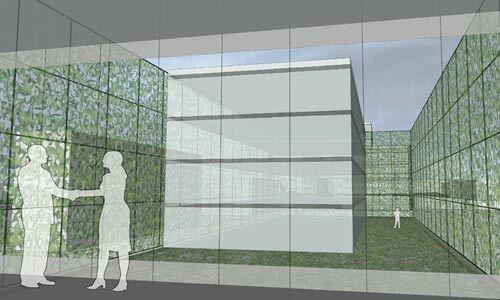 We participated competition for the new national and university library of Slovenia in Ljubljana. For the article we counted the number of all things we have in the apartment (books, clothes, dishes, lights, etc.). 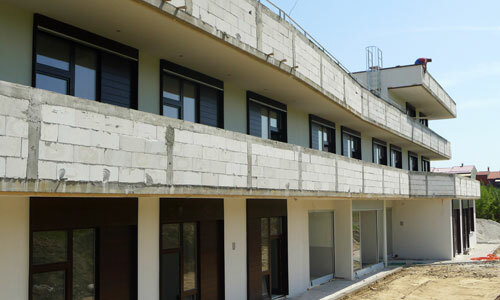 Concrete works are almost finished at the construction site of DSO. 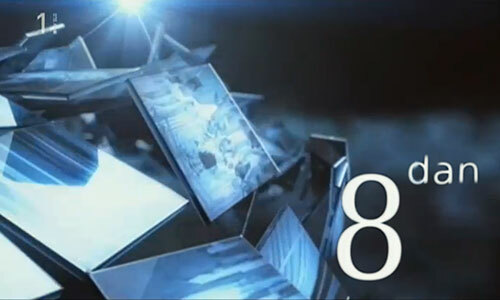 Studio Krištof again more than doubled its annual income. 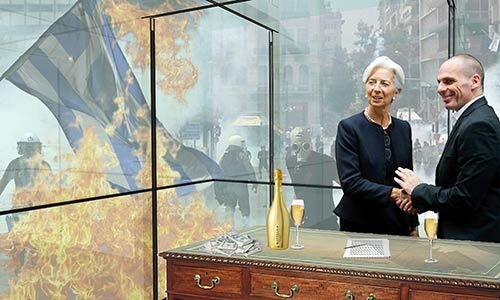 If this is a crisis, let it last in 2012! 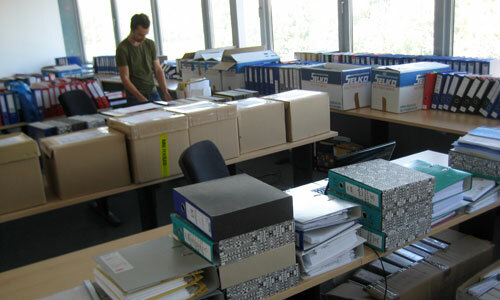 In past three months we inspected nearly 300.000 sqm of 20 shopping malls in Slovenia and examined 1.500 folders of project documentation. The Trajan project is now finished. 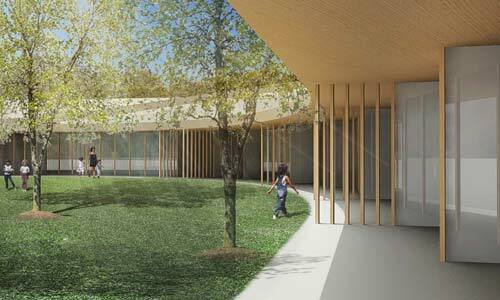 We participated competition for new sports hall in Novo mesto, Slovenia. 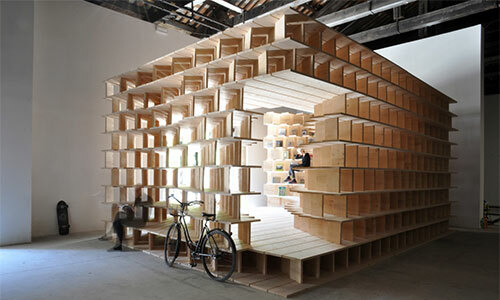 The answer to a question "how to make a good house" is very simple. 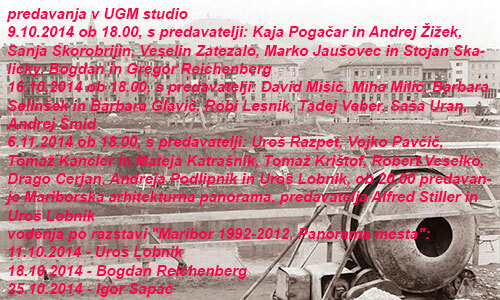 Lecture at "Pecha kucha Maribor"
Foundation stone of Elderly house in Slovenska Bistrica was set. 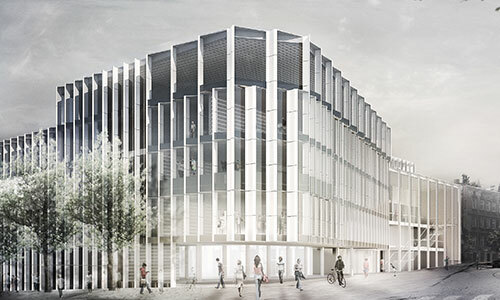 We have just signed a contract to work as a 'local architect' with Vasco+Partner (Austria) on a Neutelings-Riedijk project for a new hotel and opera in center of Ljubljana.